New Mom ..... New Cancer: The Alternative/Conventional Internal "Battle"
I know I will never get by all the skeptics, but I want to put something straight for those who think I'm "deciding to die" by doing alternative therapies (and think my husband should be "putting his foot down" and forcing me). I am not willy nilly looking at people selling snake oil and impossible promises. I am researching -through NIH articles and other such reliable sources, as well as other doctors consultations and recommended web information - BOTH conventional and alternative therapies. I have two oncologists. I have spoken with both of them. Stem Cell Transplant - this is not a choice I will take. It NEVER has been. I have done immense amounts of research (We ALSO chose to not put our child through this treatment - we were told later it was a good thing because it WOULD NOT have worked). This is not a point of discussion. Brentuximamb and Vendotin - This is an approved drug that is a chimeric monoclonal antibody connected to a chemotherapy. This means that it is less toxic to healthy cells than normal chemo, but still comes with some side effects that are typical of chemotherapy and has the potential to induce other cancers later. This drug has been shown to put patients into SHORT TERM remissions (average is about 6-9 months - this is directly from data from my oncologist!) - and is often used as a prep for stem cell transplant. This is my emergency option as it is approved and I can be put on it within about 48 hours if I need to be, and it can be done by my home oncologist and hospital. Nivolumab and other PD-1 inhibitors - This is the ONLY conventional drug out there that I have any true interest and faith in. I am not a fan of the trial designs I have seen, nor am I qualified for many of them as I refuse to do a SCT. This drug still has some very dangerous side effects attached to it, and the trials have an overwhelming overuse of radiation containing scans that I am not in favor of. I have spoken to my oncologist at Dana Farber (the one who is in charge of these trials for Hodgkin's). This is the only drug that he recommends for me based on my history and beliefs. THERE IS NOT AN OPEN TRIAL FOR THESE DRUGS IN BOSTON CURRENTLY - THEY WILL OPEN SOME MORE IN 3-6 MONTHS. So there's that. It will be there down the line. This is NOT a non toxic therapy, although it is less toxic than any of the others currently available. It also has not been used on Hodgkin's for long enough to have "cure rate" statistics - though it is showing promising remissions in many many patients. (to my knowledge of personal acquaintances - the longest I have heard was 1 year 8 months and going strong). Hyperthermia - Hyperthermia (which means “elevated temperature”) destroys cancer cells by raising the tumor temperature to a “high fever” range, similar to the way the body uses fever naturally when combating other conditions. In the US, this is FDA approved for some cancers to be done in conjunction with other conventional therapies to increase their effectiveness. In alternative centers it is used by itself as well as in conjunction with other anti-cancer treatments. It can also have a synergistic action with a Ketogenic diet as it increases the ketones in the body. Ketogenic Diet - A very low-carbohydrate, high-fat, adequate protein diet. Properly administered, it will decrease circulating glucose and increase ketone bodies, which are a good alternative source for fuel in our bodies and are produced when the liver breaks down fat. The goal is to starve the cancer of it's preferred fuel source, glucose. Cancer cells cannot metabolize ketones for fuel. Cannabis Oil - Marijuana in oncology may have potential for use as an antiemetic, for refractory cancer pain, and as an antitumor agent. However, much of the data are based on animal data, small trials, or are outdated. Only recently has cannabis become legal in many states, and it still is not completely cleared at the federal level. This (in my opinion) inhibits medical studies. Other information and studies I have found are using SYNTHETIC and derived individual cannabinoids, rather than whole plant or oil derived from whole plant, which (in my opinion) defeats the purpose of studying as synergistic effects of the over 80 cannabinoids found in marijuana will have much to do with its effectiveness and anti-tumor actions. It is proven to help with tumor pain and appetite stimulation - two things that are beneficial to any cancer patient (although much of my pain is gone, I could use to eat more most of the time). There are many groups who have seen evidence of anti-tumor effects in their members and patients. Massage - We all know that stress can be a major contributor to cancer growth and that reduction of stress is a huge component to healing. I don't think I need to post any articles on this one. Massage = relaxation = lower stress. Enough said. I am sharing this in an effort to explain to those I don't speak with often what I am doing and why and how I have come to my decisions. It's not about debating evidence, or seeking advice, it's about sharing my pathway on this journey and allowing others to understand my footsteps. Thank you to everyone who has continued to support our family through this time. We are truly grateful and love you all. If you can support my expenses while going through this journey, please consider a donation using the button at the top right corner of my blog, or you can contact me for other options (or see the below blog post). I am just curious as to why a stem cell transplant is not be a choice you consider? I admit I do not know much about it but am really just curious about your strong feelings against it. A friend of mine was worried about you and pointed you out to me. It's none of my business and I will only post once. I just want to let you know that I have survived 6 1/2 years with terminal cancer - I am three years past my expiration date. :) I've used conventional medicine. It is not as bad as you imagine. The articles you are linking to are very preliminary mouse models and not treatment for humans, and not only that, you are not linking to all the failures, of which there are many. Nobody can tell you what to do, including me. You will make up your own mind. But please don't let fear of chemo or other therapies control your decision making process. Examine yourself deep inside for this fear. The fact that you are couching it as studied makes me know that there is something deeper going on, because these therapies are all snake oil and failures and you know that medicine has rejected them as being ineffective. If you have read studies that have been done, if you have expanded your research to know both sides, then you know that is true. You are an adult and you can make up your own mind. I just wanted you to hear from a person who has been living with treatment for years and is doing well. I have had chemo for 6.5 years. I have a wonderful life. I am happy every day. My hair is long, you wouldn't look at me and see that I am sick. Most chemos don't cause hair loss. Nausea is rare, the pre-meds are too good for that. Constipation is real but handled easily. But whatever you do, make sure you stay in the medical system. I have a friend who did alternative therapies for a early stage cancer, and it naturally killed her as it almost always does. She wasn't in the system so she couldn't get hospice involved and she died with only her daughter helping her, no pain control until the last day when they rushed her to the ER. Her end was not peaceful to say the least. So stay in touch with doctors so you can at least get the help you need at the end. I'm glad that you are doing well on your chosen treatment. If you were to read other posts in my blog, or even my about page, you would see that I have done chemo before. I know what it is and what it feels like. 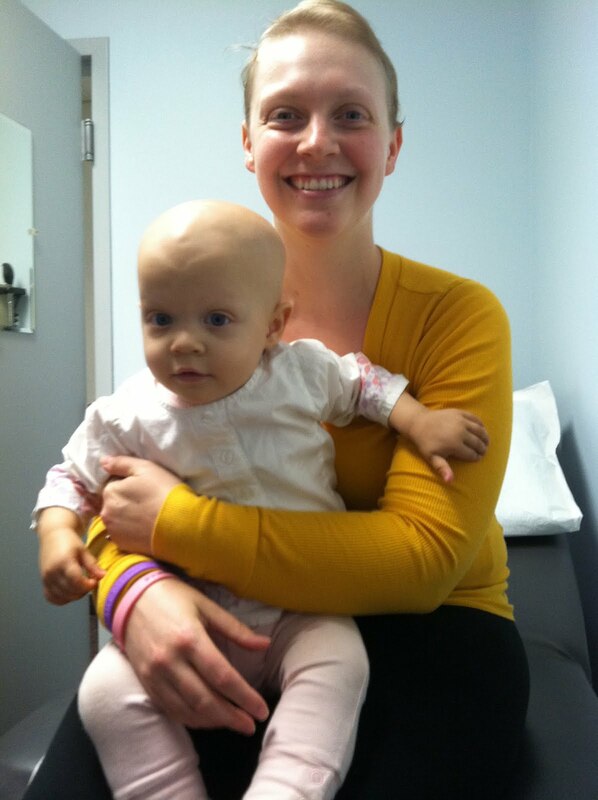 I also watched my child go through chemo. I am not "afraid" of the treatments, as you suggest. I have experience and knowledge of what they are and the very real toxicities and log term side effects that come with them (which I am still experiencing from my first round of therapy). I'm only 31. My goal is to get rid of this cancer without guaranteeing myself another cancer diagnosis when I'm 50 and a life of major medical side effects. I would totally do the same if I were you! Rock on!